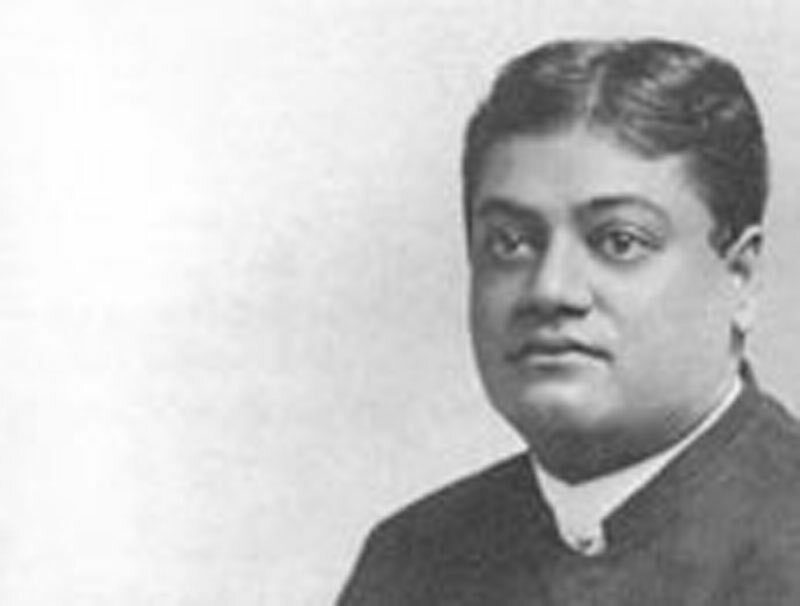 The Swami Vivekananda, who will be remembered as the Hindu delegate to the World's Parliament of Religions, is in the city as the March class lecturer at the Procopeia, 45 St. Botolph street. The Swami has been doing some most valuable and successful work in systematic class lecturing in New York, with constantly increasing audiences, during the past two winters, and comes to Boston at a most opportune time. when a man has fulfilled the duties and obligations of that stage of life in which he is born, and his aspirations lead him to seek a spiritual life and to abandon altogether the worldly pursuits of possession, fame, or power, when, by the growth of insight into the nature of the world, he sees its impermanence, its strife, its misery, and the paltry nature of its prizes, and turns away from all these — then he seeks the True, the Eternal Love, the Refuge. He makes complete renunciation (Sannyâsa) of all worldly position, property, and name, and wanders forth into the world to live a life of self-sacrifice and to persistently seek spiritual knowledge, striving to excel in love and compassion and to acquire lasting insight. Gaining these pearls of wisdom by years of meditation, discipline, and inquiry, he in his turn becomes a teacher and hands on to disciples, lay or professed, who may seek them from him, all that he can of wisdom and beneficence. A Sannyasin cannot belong to any religion, for his is a life of independent thought, which draws from all religions; his is a life of realisation, not merely of theory or belief, much less of dogma. In giving some idea of his work and its methods, the Swami says he left the world because he had a deep interest in religion and philosophy from his childhood, and Indian books teach renunciation as the highest ideal to which a man can aspire. is my own interpretation of our ancient books in the light which my master (a celebrated Hindu sage) shed upon them. I claim no supernatural authority. Whatever in my teachings may appeal to the highest intelligence and be accepted by thinking men, the adoption of that will be my reward. All religions have for their object the teaching of devotion, or knowledge, or activity, in a concrete form. Now, the philosophy of Vedanta is the abstract science which embraces all these methods, and this is what I teach, leaving each one to apply it to his own concrete form. I refer each individual to his own experience, and where reference is made to books, the latter are procurable, and may be studied for each one by himself. The Swami teaches no authority from hidden beings, through visible objects, any more than he claims learning from hidden books or MSS. He believes no good can come from secret societies. Truth stands on its own authority, and truth can bear the light of day. He teaches only the Self, hidden in the heart of every individual, and common to all. A handful of strong men, knowing that Self, and living in its light, would revolutionize the world, even today, as has been the case of single strong men before, each in his day. His attitude towards Western religions is briefly this. He propounds a philosophy which can serve as a basis to every possible religious system in the world, and his attitude towards all of them is one of extreme sympathy. His teaching is antagonistic to none. He directs his attention to the individual, to make him strong, to teach him that he himself is divine, and he calls upon men to make themselves conscious of divinity within. His hope is to imbue individuals with the teachings to which he has referred, and to encourage them to express these to others in their own way; let them modify them as they will; he does not teach them as dogmas; truth, at length, must inevitably prevail. . .